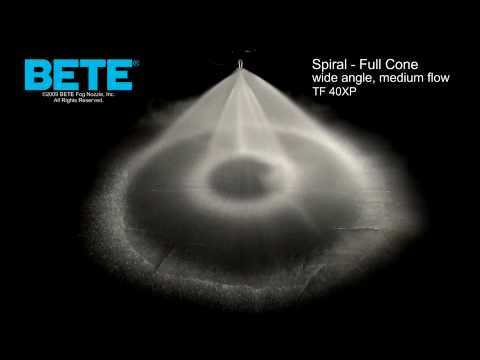 A Full Cone spray pattern, with even distribution in the spray area. 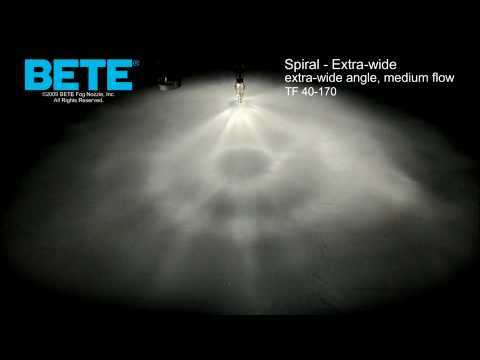 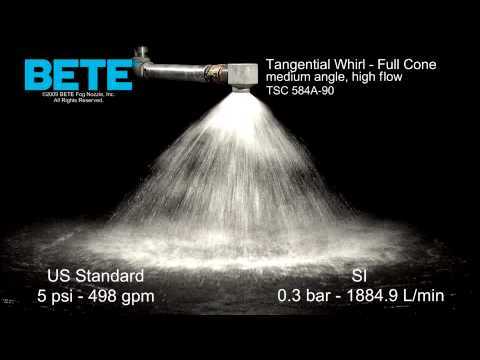 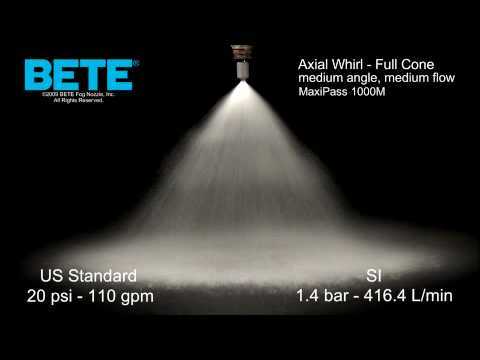 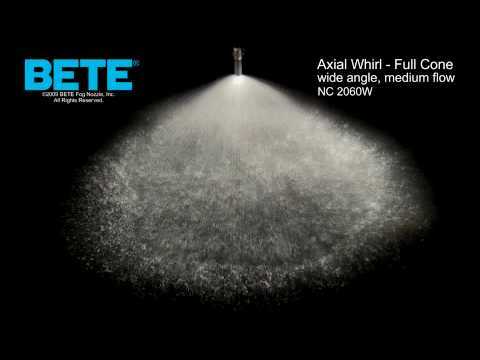 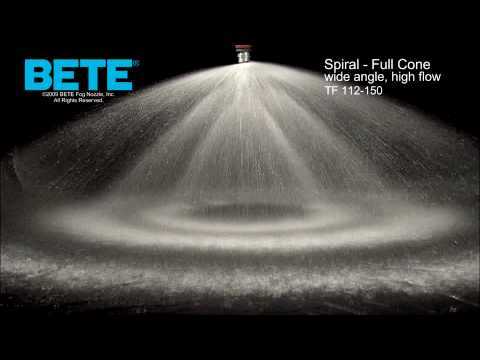 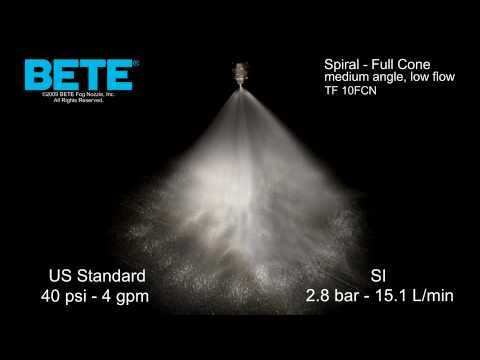 Creates a spray of medium-sized droplets that decreases spray drift and carryover. 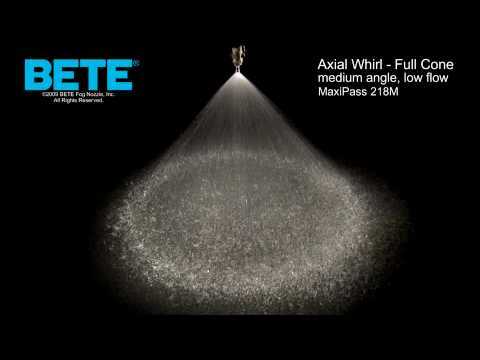 This makes them a better choice when evenness of coverage is a needed such as distribution over a packed bed.